Home > Projects > Projects - FAQs > Can I Set up a Template for My Projects? If the new project is for a different customer than the original, only team members will be added as project members. Avaza will not add external contacts from the original project in this case. 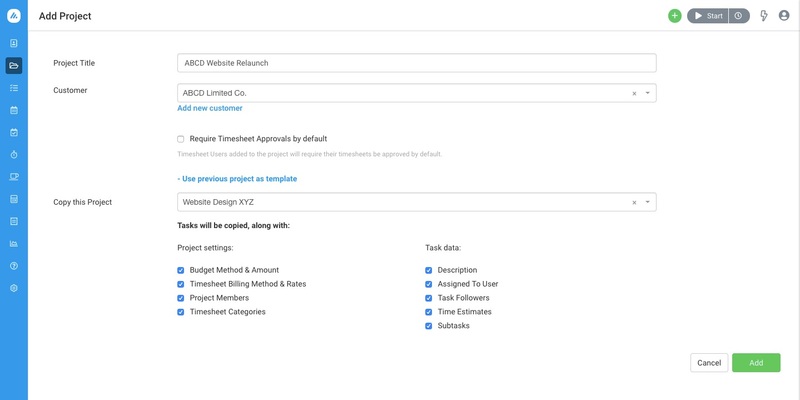 Assigned to/Task Follower fields will only be copied over if the user is also a project member on the new project. Read more about Getting Started with Projects.